It's great to know that the HomeSaver brand sells component kits that save you the time and expense of purchasing these numerous components separately. This insert kit for HomeSaver Pro or UltraPro installations is a great example. It includes a collar plate, collar plate rain cap, and connector adaptor. The whole kit is designed to be used specifically with HomeSaver Pro and UltraPro vent pipe with a 6 inch diameter. You can trust HomeSaver for the ultimate in vent pipe components and accessories. The 6 inch x 25-ft. HomeSaver UltraPro 316Ti Alloy Chimney Re-Liner Pipe is a direct reflection of HomeSaver UltraPro's custom machining and superior engineering. HomeSaver UltraPro chimney liners begin with .005-in. thick 316Ti stainless steel which is then vertically corrugated by high-tech machines. A patented roll-lock seam is applied that yields greater strength and increased flexibility compared to more traditional or generic chimney liner pipes. HomeSaver UltraPro reliner pipes are much easier to work with than other reliners, allowing for easier installation and, for chimney professionals, more installations per day than with other pipes. UltraPro pipes even comes ready to use out of the box, not a coiled, kinked mess like many reliners. HomeSaver UltraPro pipes are easy to work with, more reliable, and have a greater crush strength than similar pipes of even greater thickness. Homeowners and chimney professionals alike will agree that the 6 inch x 25-ft. HomeSaver UltraPro 316Ti Alloy Chimney Re-Liner Pipe is the safest, most convenient, and most effective reliner of its kind on the market. The 6 inch x 30-ft. HomeSaver UltraPro 316Ti Chimney Re-Liner Pipe is a direct reflection of HomeSaver UltraPro's custom machining and superior engineering. HomeSaver UltraPro chimney liners begin with .005-in. thick 316Ti stainless steel which is then vertically corrugated by high-tech machines. A patented roll-lock seam is applied that yields greater strength and increased flexibility compared to more traditional or generic chimney liner pipes. HomeSaver UltraPro pipes are easy to work with, more reliable, and have a greater crush strength than similar pipes of even greater thickness. Homeowners and chimney professionals alike will agree that the 6 inch x 30-ft. HomeSaver UltraPro 316Ti Chimney Re-Liner Pipe is the safest, most convenient, and most effective reliner of its kind on the market. The 6 inch x 35-ft. HomeSaver UltraPro 316Ti Chimney Re-Liner Pipe is a direct reflection of HomeSaver UltraPro's custom machining and superior engineering. HomeSaver UltraPro chimney liners begin with .005-in. thick 316Ti stainless steel which is then vertically corrugated by high-tech machines. A patented roll-lock seam is applied that yields greater strength and increased flexibility compared to more traditional or generic chimney liner pipes. HomeSaver UltraPro pipes are easy to work with, more reliable, and have a greater crush strength than similar pipes of even greater thickness. Homeowners and chimney professionals alike will agree that the 6 inch x 35-ft. HomeSaver UltraPro 316Ti Chimney Re-Liner Pipe is the safest, most convenient, and most effective reliner of its kind on the market. 6 inch x 25-ft. HomeSaver UltraPro Chimney Liner Insulation Kits are perfect to supplement the separate purchase of a HomeSaver UltraPro chimney reliner of the size corresponding to the component kit. The kit does not include the reliner pipe, but it does include FlexWrap cut to correct length and wrap width, ArmorMesh, aluminum tape, a clamp kit, and spray adhesive. Absolutely everything you need to get your relining project started and finished except for the pipe. If you have the liner taken care of but you don't have the hardware to see the project all the way through, give your chimney liner installation the boost it needs by picking up a 6 inch x 25-ft. HomeSaver UltraPro Chimney Liner Insulation Kit before wasting any more steps. HomeSaver has designed a 30-ft. chimney liner insulation kit that will save you a lot of hassle and wasted time by providing you with the right materials to get the job done. This UltraPro kit includes FlexWrap cut to correct length and wrap width so that you get the perfect fit. An ArmorMesh, aluminum tape, clamp kit and spray adhesive are included with this kit to ensure you have everything you need for a quick and skillful UL/ULC installation process for your chimney liner. This UltraPro liner insulation kit by HomeSaver has all the materials needed for a UL/ULC standard installation. This chimney liner insulation kit comes with insulation already cut to the right wrap width according to the 6 in. diameter of this application. Having precut insulation save you the time and hassle of cutting and preparing it yourself-making this a more cost effective option. Thi kits includes FlexWrap cut to the correct length and wrap width, ArmorMesh, Aluminum Tape, Clamp kit, and Spray adhesive. The Flame XTD 1.5-I EPA Wood Burning Fireplace Insert is the perfect way to take your existing fireplace and give it a makeover that will allow you to keep a clean, manageable, and safe fire going in your home and hearth for a lifetime. Everyone loves a fireplace, but you'll love yours even more when you see the beauty and efficiency wood fireplace inserts provide. 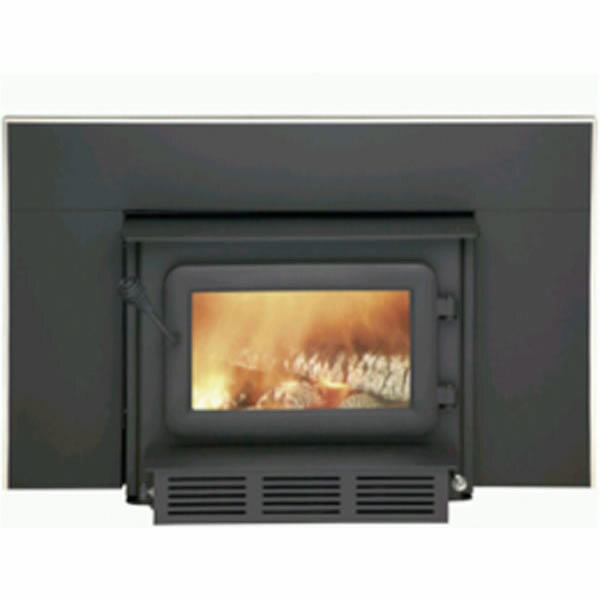 The Flame XTD 1.5-I EPA Wood Burning Fireplace Insert has a generous 1.8 cubic foot firebox that can hold plenty of wood. The powerful 60,000 BTU maximum output can generate enough heat to comfortably heat areas from 850 to 1,550 square feet in area. The ceramic glass window in the door allows you to monitor and view the fire, but keep it well contained inside the hearth. The internal air wash system even allows the glass to stay clear so you maintain a beautiful view of the flames inside. Imagine your new fireplace - no more logs rolling out, no more sparks flying, just a consistent, efficient, beautiful fire ready to go whenever you need it. That's what the Flame XTD 1.5-I EPA Wood Burning Fireplace Insert brings to your home, and that's why your fireplace deserves one of its own this season. PLEASE NOTE* Item is pictured with faceplate and faceplate trim kit, both of which are REQUIRED for installation of this product. In this case the black faceplate surrounding the insert as pictured is included with purchase of the item and you, the customer, have the option of choosing one of the three finish options available for the trim kit surrounding that faceplate. 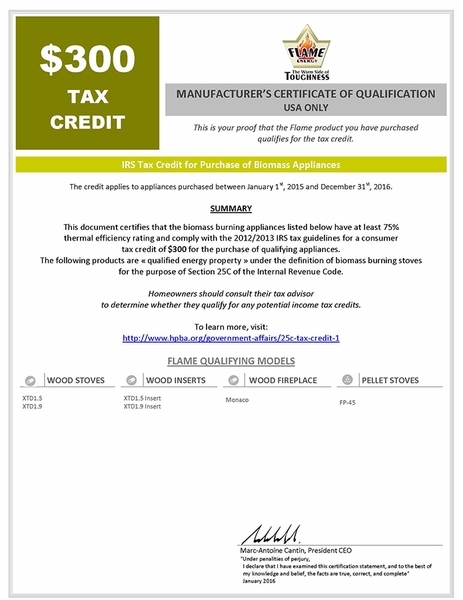 The item will arrive with all items needed for installation: the fireplace insert itself, the surrounding faceplate, and the selected finish of faceplate trim kit. Is this unit able to be converted to a free standing fireplace for the garage? I was given one and wanted to put it in a garage. No, it can not be. Is this unit compatible for a manufactured home? This is not approved for use in a manufactured home. I put this stove in my 1000 sq ft home and it really heats it up. I love the fan that blows the warm air out into the house. ConsWish more of it stuck out more so I could put a hot water kettle on it, but at least my cats won't jump on it.